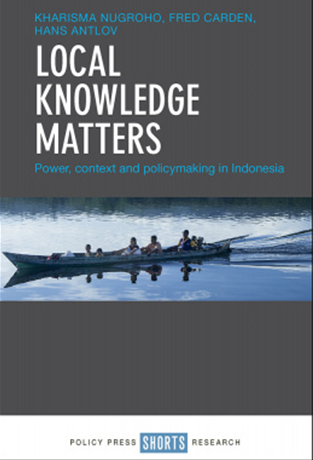 Pentingnya Pengetahuan Lokal (PDF 4 MB) Buku ini adalah terjemahan dari “Local Knowledge Matters: Power, Context and Policy Making in Indonesia”, Bristol: Policy Press. 2018. 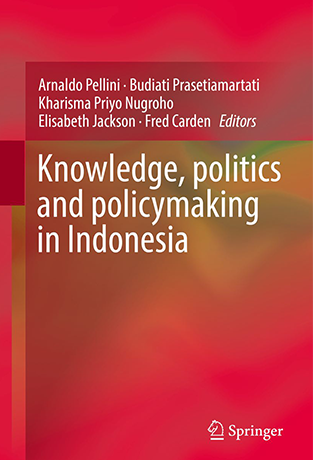 Knowledge, Politics and Policy Making in Indonesia, edited by A. Pellini, B. Prasetiamartati, K. Nugroho, E. Jackson and F. Carden. Springer. 2018. Policy and Causality: A learning approach. 2018. 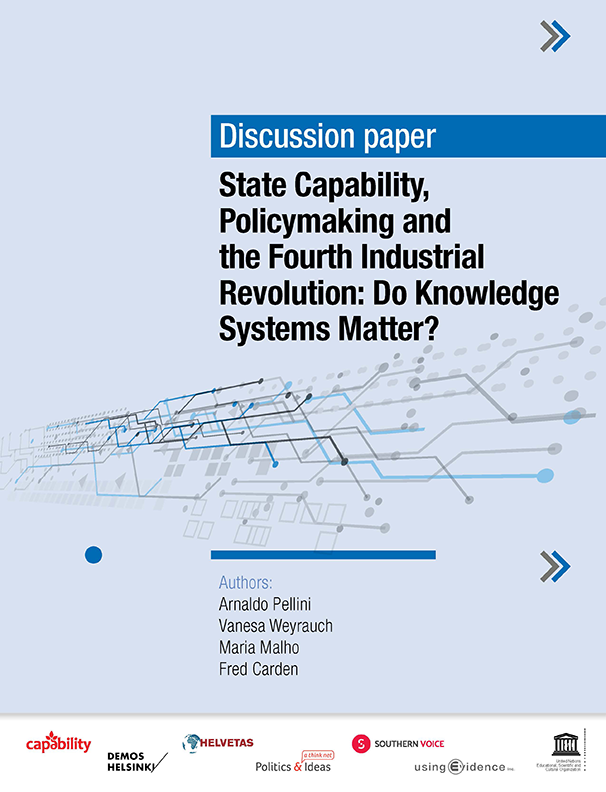 Knowledge Sector Initiative. 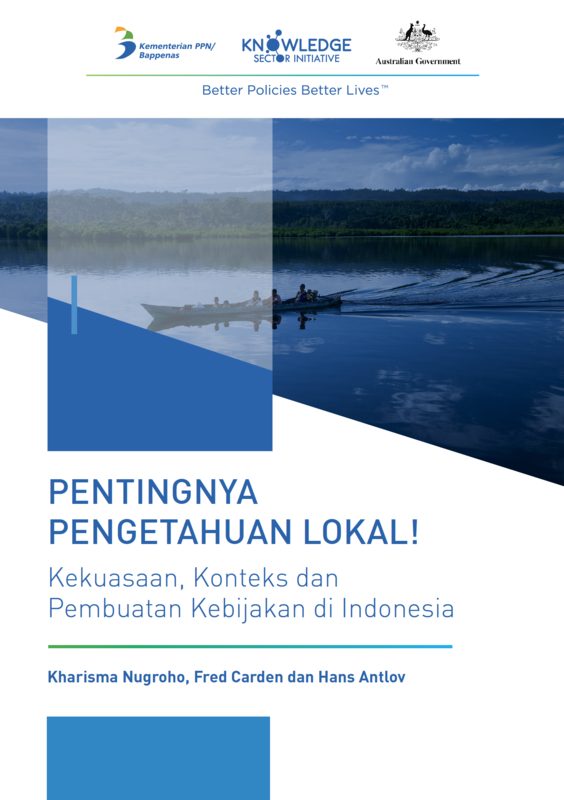 Knowledge and Competitiveness in Indonesia. With Budiati Prasetiamartati and J. Ascroft. Strategic Review. Jan-March 2015. Alternatives to the Conventional Counterfactual. With Michael Bamberger and Jim Rugh. 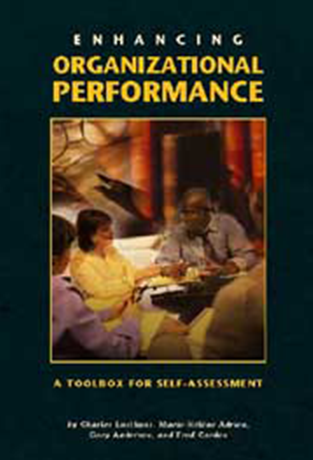 in Evaluation Management in South Africa and Africa, Chapter 12.6. Edited by Fanie Cloete, Babette Rabie and Christo de Coning. Stellenbosch. SUN MeDIA. 2014. Influencing Policy: Experiences from the field. in Social Science and Policy Challenges: Democracy, values and capacities, ed. G. Papanagnou. Paris: UNESCO. 2011. Pp 165-180. 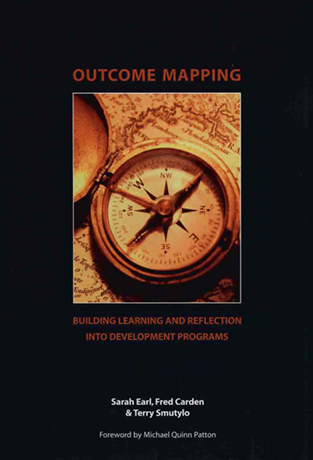 Development is not an intervention: methodological issues in development evaluation. 2010. Presentationl at the Virtual Conference on Methodology in Programme Evaluaton, Wits Programme Evaluation Group, University of Witswatersrand, South Africa. Understanding Influence: The episode studies approach. 2009. in The Politics of Trade: The Role of Research in Trade Policy and Negotiation. Ed. Diana Tussie. Dordrecht, Leiden, Boston: Brill. 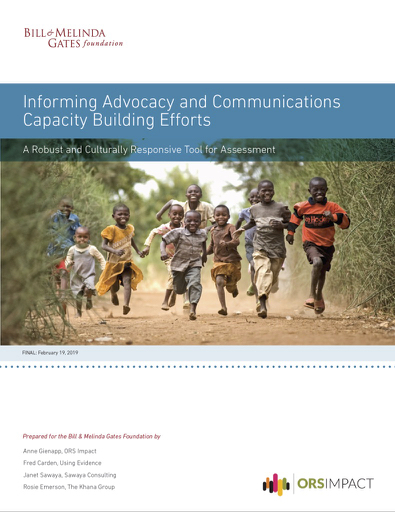 Context Matters: The influence of IDRC-supported research on policy processes. 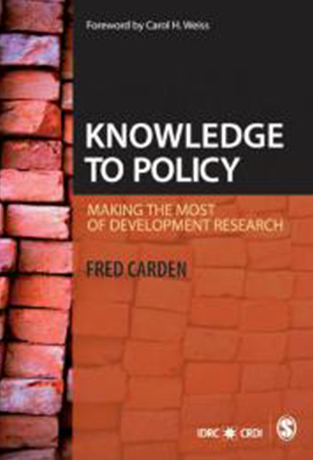 2007. in The Policy Paradox in Africa: Strengthening links between economic research and policy making. Ed. By Elias T. Ayuk & Mohamed Ali Marouani. Trenton NJ & Ottawa ON: Africa World Press & IDRC. Confluence and Influence: Research to policy connections. with S Neilson. 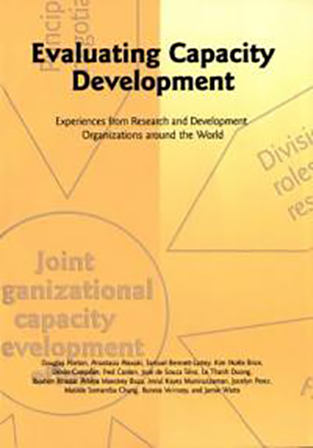 2005. in Bridging Research and Policy: A new agenda for global development, ed. Diane Stone and Simon Maxwell, Routledge Press. pp. 139-155. 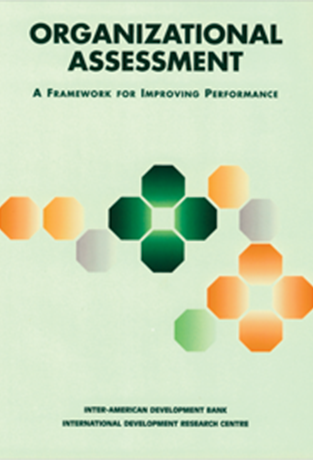 Giving Evaluation Away: Challenges in a Learning-Based Approach to Evaluation. 2000. In Learning from Change, ed. Marisol Estrella with Jutta Blauert, Dindo Campilan, John Gaventa, Julian Gonsalves, Irene Guijt, Deb Johnson and Roger Ricafort. IDRC. A Position Statement on International Development: The Case of Sub-Saharan Africa.1997. with Michel Chevalier and Glen Taylor. In, The Social Engagement of Social Science. 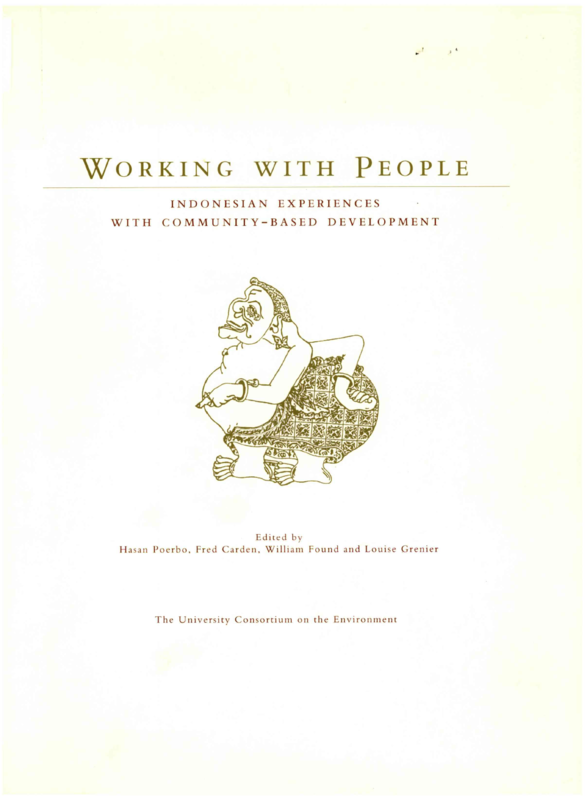 Volume III: The Socio-Ecological Perspective. A Tavistock Anthology edited by Eric Trist, Fred Emery and Hugh Murray, with Beulah Trist. pp. 618-634. University of Pennsylvania Press. 1992. with Michel Chevalier and Glen Taylor. Redesigning Western Foreign Policy. 1992. in Planning for Human Systems: Essays in honor of Russell A. Ackoff. Jean-Marc Choukroun and Roberta Snow, editors. Philadelphia: University of Pennsylvania Press.